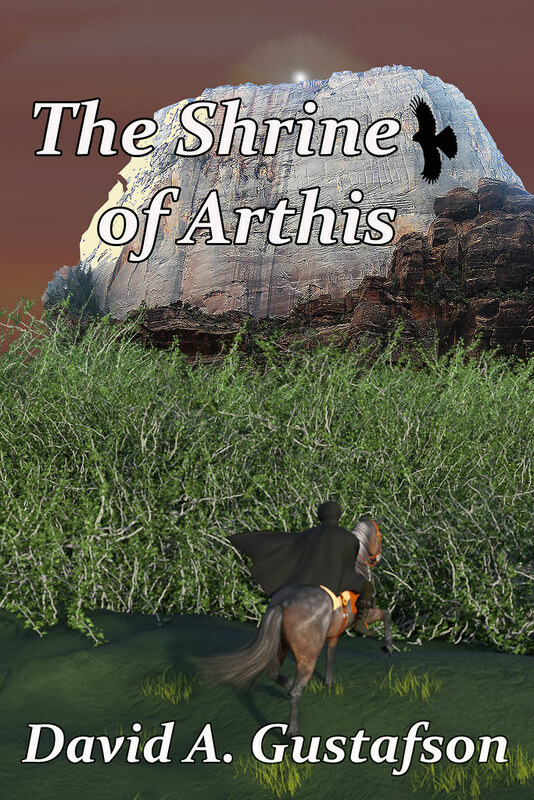 The Shrine of Arthis is an epic fantasy written by David A. Gustafson. It centers upon messages of perseverance, self-sacrifice and forgiveness. It’s a story that will be appreciated by anyone who loves a wholesome tale of good versus evil. The story has been broken into two ebooks, Book One: The Power of Denial, available for free, and Book Two: The Power from Forgiveness. The complete story is also available as a single paperback. Victimized and betrayed, for two hundred years the spirit of King Arthis has been entrapped within the Shrine. From this mountain perch he has looked on in dismay as his daughters abandoned his teachings of symmetry and acceptance. Instead, they have each built a city where only their preferred earth power is nurtured. Helpless to intercede, Arthis has watched the rise of the Sortiri, supernatural creatures who wantonly attack his descendants and steal the soul from those they capture. Jerrid, a Stone Shaper gifted in the earth power called “Amber,” is tormented by the memory of his mother’s fall to the Sortiri. Exiled with his grandfather to a new city being constructed as a refuge from future attacks, Jerrid longs to escape a life that has grown lonely and mundane. A rare excursion away from the “Hidden City” leads him into a confrontation with his father. Believing that a strategy of isolation cannot succeed, Jerrid resolves to tame Feor, a wild horse with unmatched speed that carries him beyond his father’s control. Emboldened by this new freedom, he meets a young woman named Audain and visits her home in Gladeis, the city where “Emerald” enables the Foedan there to live in close connection to the Forest. Though intrigued by the wonders of Gladeis, when confronted again by unyielding authority, Jerrid finally understands. With renewed purpose he ventures forth, determined to connect with the other two earth powers; Opal for wind and Sapphire for water, and seek a better way to overcome the Sortiri.